Cleaver-Brooks sets the bar for industry-leading, energy-efficient, low-emissions products for your boiler room. 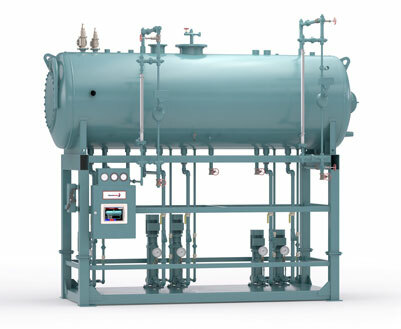 Whether it’s a new boiler installation, from the smallest electric commercial boiler to the largest industrial boiler, or retrofitting your current facility, Cleaver-Brooks fully integrated systems, including boilers, burners, controls, and auxiliary equipment, supply the most efficient solutions in the world. Only Cleaver-Brooks boiler systems have the power of total integration for your entire boiler room, built in from the ground up. In addition to our full line of Cleaver-Brooks Boilers, Thermal Tech Inc. also offers Clever Brooks Burners, Controls, Heat Recovery, Exhaust Solutions and Parts & Service. 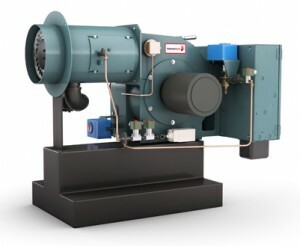 Every Cleaver-Brooks burner is designed and built to increase your boiler’s efficiency and decrease emissions. Ensure your system runs at peak efficiency with our integrated boiler room controls. Regardless of your boiler system, there’s a control that will complement it. Allow your boiler to run more efficiently and reduce fuel usage with economizers and heat exchanges. Consider selecting multiple products as several options may fit your needs. 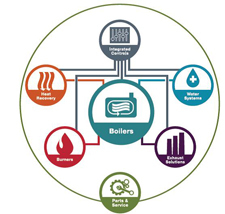 Increase the safety, reliability and life of your boiler with water treatment and feed and recovery options. 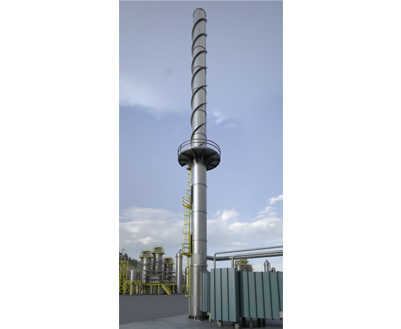 Enhance your boiler system with the exhaust stacks featuring the latest in combustion gas venting engineering and technology. Cleaver-Brooks Reps provide upgrades, retrofits, service, support and an extensive parts list. 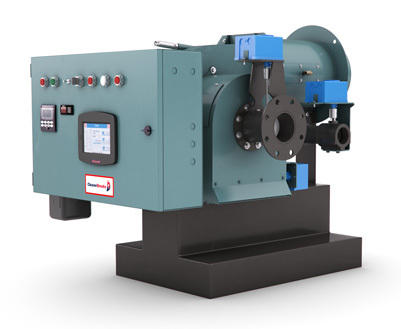 Suitable for firetube, firebox, and watertube boilers; the E series features a low-pressure drop firing head design and low blower motor horsepower requirement for increased efficiencies. Advanced technology allows the E series to offer low NOx emissions options, up to 10:1 turndown with natural gas and up to 8:1 turndown with light oil. 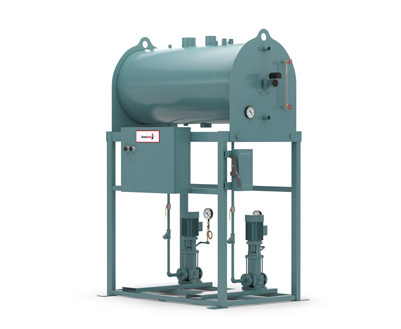 The ProFire®-E series burner offers: natural gas, propane gas, air-atomized #2 oil, and combination gas and oil fuel options from 8.4 to 42.0 MMBTU. The LNE burner, capable of less than 30 ppm NOx emissions, offers: natural gas, propane gas, air-atomized #2 oil, and combination gas and oil fuel options from 8.4 to 42.0 MMBTU. Full modulation operation and cam trim are standard for greater efficiency and cost savings. 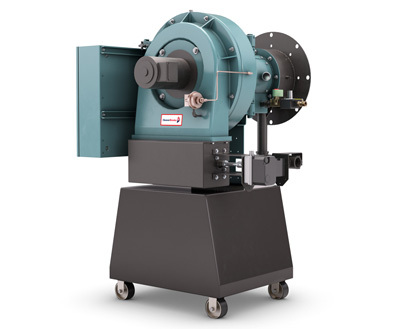 The Cleaver-Brooks ProFire D series burner forced draft design allows for trouble-free operation and superior efficiency on boiler, heater, furnace, kiln, and dryer applications. The uncontrolled configuration offers multifuel versatility. The ProFire D is an excellent choice when firing alternative fuels such as digester, waste oil, and biodiesel. 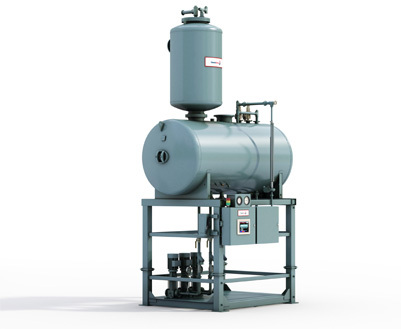 The ProFire®-D series burner offers: natural gas, propane gas, air-atomized #2–#6 oil and combination gas and oil fuel options from 4.2 to 42.0 MMBTU. 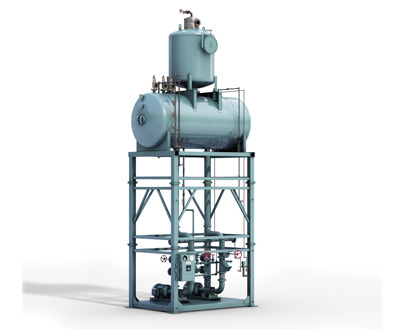 The LND burner, capable of less than 20 ppm NOx emissions, offers: natural gas, propane gas, air-atomized #2–#6 oil, and combination gas and oil fuel options from 3.36 to 42.0 MMBTU. 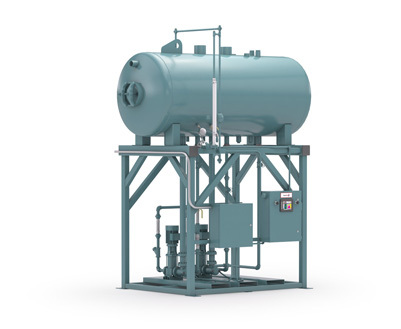 The ultra low-NOx D series offers natural gas, propane air mix, air atomized #2 oil, and combination gas/oil fuel at capacities from 12.6 to 33.6 MMBTU. Full modulation operation and cam trim are standard for greater efficiency and cost savings. 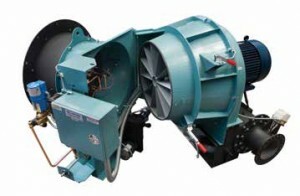 The D burner is an excellent choice when firing alternative fuels such as digester, waste oil, and biodiesel. 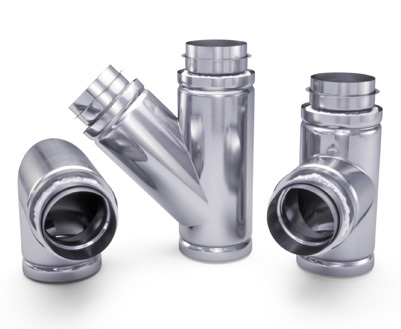 Suitable for firetube, firebox, commercial watertube and cast iron boilers; the V series features a unique aerodynamic air damper design which permits accurate air-to-fuel settings for maximum combustion efficiency. The V series, available in uncontrolled, and low NOx configurations offers multi-fuel versatility to meet the toughest air quality standards. gas, pressure atomized #2 oil and combination gas and oil fuel options from 1.3 to 14.7 MM BTU per hour. By optimizing the combustion air distribution and fuel mixing dynamics using proprietary CFD software, NATCOM-patented HyperMix™ technology can minimize NOx, CO, and PM emissions on new or retrofit projects meeting the most demanding air permit requirements. 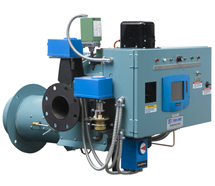 Burner systems can be easily adapted to any boiler arrangement and provide user-friendly operations, online adjustability, and low-maintenance features. 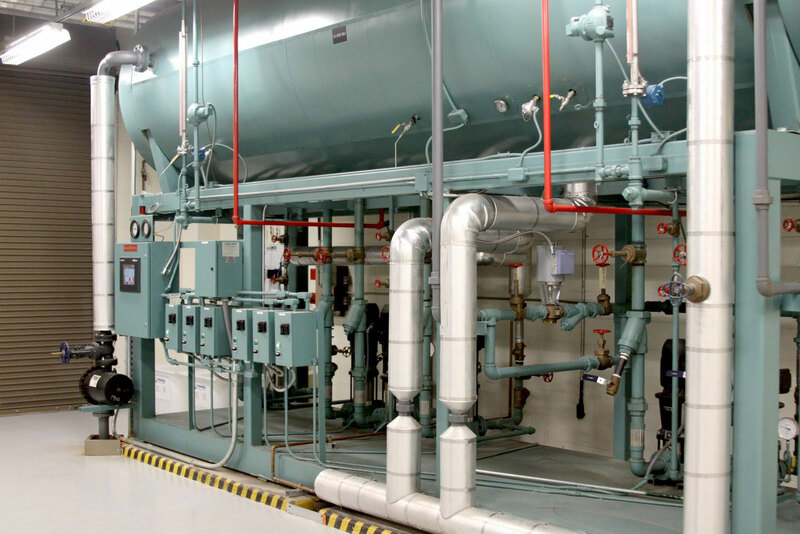 Our retrofit systems are easily adapted to any existing Industrial Watertube Boiler, Field-Erected Boiler, Utility Boiler, Thermal Processing System, or HRSG, and provide user-friendly operations, online adjustability, and low-maintenance features. We excel at firing non-standard fuels, such as refinery gas, hydrogen, digester, and LFG gases. 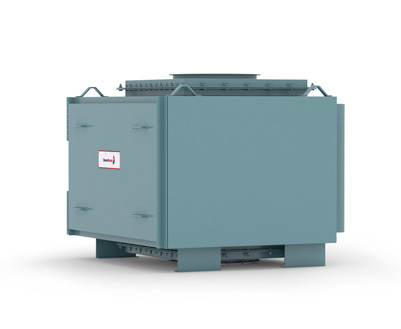 The CRE Rectangular Economizer can be utilized up to 2,200 HP for capturing the waste heat and preheating boiler feedwater, makeup water heating, hot water boilers, and potable and process water applications. The large number of standard models provide height and diameter combinations that work in applications with space constraints, while still achieving maximum heat recovery. Flexibility allows specific engineering requirements to be met, such as fin spacing for fouling conditions and low gas pressure drops. The internal gas bypass can be used to temper the exiting gas for stack corrosion control or to maintain water temperature when too much heat is available. The C2X 2-Stage Condensing Economizer is a condensing economizer that captures heat through both a traditional stack economizer section and a condensing section. Can be utilized on boilers up to 2,200 HP. 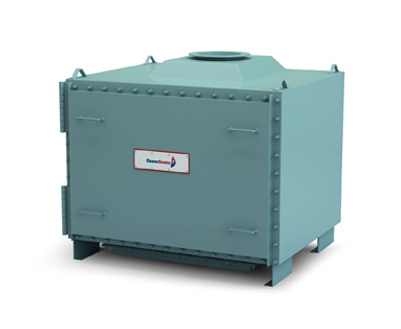 The lower section of the economizer recovers energy by preheating the boiler feedwater. The upper section preheats virtually any cool liquid stream (makeup water, wash water, hot water preheating, etc. 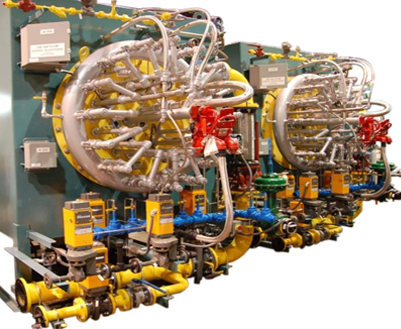 ), and the control system maximizes condensing when firing natural gas, then automatically switches to a near-condensing mode when firing #2 oil (if applicable). The upper coil, lower coil, modulating valves, control system, and other system components are sized as a system to deliver the maximum possible cost savings. 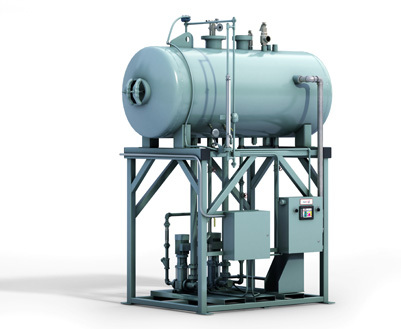 A typical deaerator package includes the tray column and storage tank mounted on a stand of appropriate height along with all operating controls, feed pumps assembled and piped (typically knocked down for shipment and field assembly). Built of corrosion-resistant alloys for lifetime service, the deaerator employs those basic principles of gas removal proved to be most effective and economical to every boiler owner. The Cleaver-Brooks designed SprayMaster deaerator assures high purity effluent by removing oxygen and other dissolved gases in boiler feed. Built of corrosion-resistant alloys for lifetime service, the deaerator employs those basic principles of gas removal proven most effective and economical; to every boiler owner. The Duo Tank product combines a surge tank with a Spraymaster deaerator into a single combined vessel, providing a complete engineered and packaged system. The Cleaver-Brooks designed deaerator assures high purity effluent by removing oxygen and other dissolved gases in boiler feed. Built of corrosion- resistant alloys for lifetime service, the deaerator employs those basic principles of gas removal proven most effective and economical to every boiler owner. The Boilermate® deaerator is a pressurized packed column, low maintenance system designed to remove dissolved oxygen in boiler feed water and eliminate carbon dioxide. A typical deaerator package includes the packed column and storage tank mounted on a stand of appropriate height along with all operating controls, feed pumps assembled and piped (typically knocked down for shipment and field assembly). The Boilermate deaerator economically effects oxygen removal through a design that is trouble free in performance. Cleaver-Brooks boiler feed systems help maintain peak efficiency and prolong the life of boilers where investment in a deaerator cannot be justified. Consisting of one or more feed pumps and a corrosion resistant receiver tank, the system automatically supplements condensate with makeup water to replace system losses. 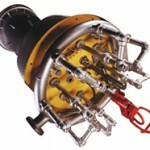 The Cleaver-Brooks Surge Tank products provide additional storage time and handle volume swings in condensate returns. 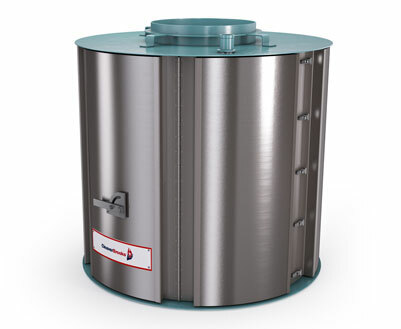 Because condensate return volume is largely unpredictable, a surge tank provides a means to collect intermittent condensate returns and supply water at a relatively constant volume, while limiting discharge to drain. The CBI family is well suited for industrial, institutional and commercial applications. CBI and inner wall standard 316L or 304 2B stainless steel (20 – gauge 6″ to 40″ diameter). Outer wall: standard AL 29C, 430, 316L or 304 2B stainless steel (24 gauge – 6″ to 40″ diameter; 20 gauge – 42″ to 48″ diameter). Factory welded cylindrical freestanding stacks with single, inner and outer structure options. Cleaver Brooks can provide you with the design and manufacture of freestanding stacks according to American and Canadian standards requirements. Our highly qualified engineering department has diversified experience and knowledge in exhausting and venting stacks. Model CBS2: Cylindrical double wall stack. Inner structural shell insulation and outer metal jacket. Model CBS3: Cylindrical double wall stack. Outer structural shell with air space, insulation and steel lining. Model CBSR: Cylindrical refractory lined freestanding stack. Outer structural shell with refractory lining. Feed Water Control Strategy for Your Boiler This webinar will explain why proper boiler feed water introduction and levels are so important and discuss the various options available to control it. Boiler Condensate Return Basics This webinar is a continuation of the Boiler Steam Supply Piping Basics program (November 2015), which covered the steam supply or distribution system.